Lakawon Island in Negros Occidental is quickly becoming a beach resort destination in the Philippines. With that, I knew that I had to see it in person to find out what all the fuss is about. And it wasn't long until I found myself traveling off the coast of Cadiz City, walking the white sands of the banana-shaped island, and setting sail aboard Taw Hai, the first floating bar in Asia. There are several things that you can do in Lakawon Island Resorts & Spa, a privately owned isle that is just off the coast of Cadiz City. The resort offers a lot of activities, and swimming by the beach is just one of them. · Ball (volleyball or football) – Free of charge! If you’re the type who just wants to laze around and get a tan, then there’s plenty of space by the shore where you can lay a beach blanket. You can also sit on one of the many cozy and colorful bean bags by the seaside. Construction was being done to several parts of the resort late last year (to accommodate more visitors this summer), particularly on the bridge and restaurant. So there weren’t that many choices on the menu last November. But the good thing was that they had Grilled Liempo in the mix. Plus, the price was quite affordable, as we only had to pay P220 each, which already came with a cup of rice, bottle of coke and bottled water. The last, but definitely not the least attraction in Lakawon Island is the Taw Hai Floating Bar (Taw Hai means “relaxed” in their local dialect). I first discovered this gem while browsing on some photos on Instagram. Not only is it dubbed the biggest floating bar in Asia, it's also the most picturesque on the island (aside from the long bridge). Every nook and cranny of the boat, given its spread of vibrantly colored beanbags and hammocks, was just gorgeous. You can also add to that, the stunning and breathtaking view of the deep blue sea. If I was an adrenaline junkie, I would've tried jumping off of the boat. Many have tried this. So should you follow suit, make sure that you're prepared for the dive, as there are no lifeguards onboard. You can stay onboard the Taw Hai Floating Bar for only P250, which already comes with a drink of your choice. Alcoholic beverages are included in the list. But since it was still early in the day, my friend and I opted to order a glass of Orange Juice instead. Take note that boat trips can be extended depending on the sea and weather conditions. But on a regular basis, they operate daily from 10 am to 4:30 pm (for day tour guests). But for overnight guests, they can extend until 5 pm (Monday to Thursdays) or 8 pm (Fridays to Sundays). Make sure to put on a lot of sunblock, as the boat isn’t covered all the way through. I made the mistake of forgetting to put another layer because I fell asleep; and I woke up hours later to a sunburned skin. You can reach Lakawon Island by flying direct via Philippine Airlines or Cebu Pacific Air from Manila to Bacolod. From Bacolod-Silay International Airport, take a shuttle van going to the Ceres Terminal in Bacolod City (P150). From there, take the bus to Cadiz city (P95). Once you reach the Cadiz bus terminal, hire a trike to take you to the harborside (special price for two was P250/per way), and then ride a pump boat going to the resort. The resort will require you to pay for both boat and environmental fees at the seaport, so prepare to pay a total of P270 per person. My friend and I had to pay a special rate for the pump boat since no one else came to share the cost. We availed it to save on time, since we were only staying until the afternoon. Anyway, do take note that the last trip is 5 PM. Overnight rates will be charged for those exceeding 5 PM. The rates of the resort's available accommodations ranged from P650 to P5,850 (comes with specific packages and capacities). You can choose to stay in one of their Umbrella Huts or check into one of their Suites. But if you’re on a budget, and wouldn’t mind staying by the beach, then you can always pitch a tent. 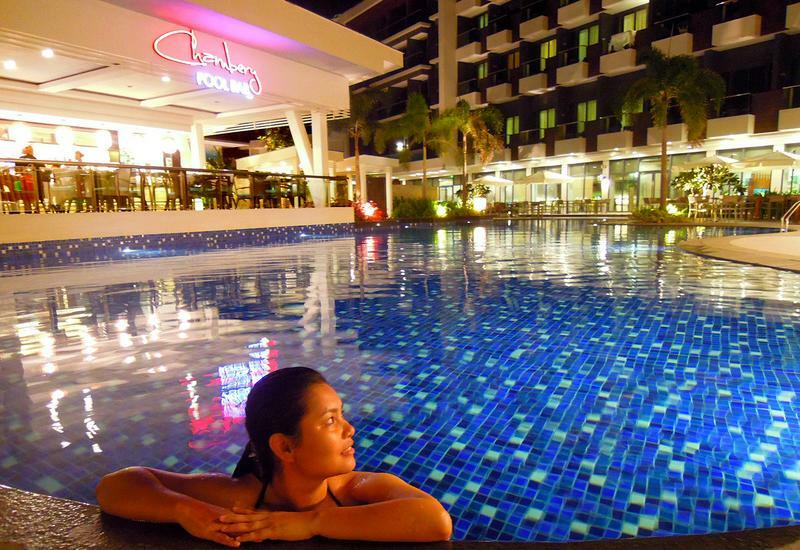 The resort offers this option for only P300. To be honest, Lakawon Island was a bit overrated for me. The photos online were really nice, but the actual place felt somewhat different. I guess the ongoing construction on the island added to our dismay. And if Taw Hai wasn't around, we wouldn't have enjoyed our time there. Being onboard the floating bar was probably the only highlight of our trip to Cadiz City. I mean, it took us hours to reach the island, yet it didn't deliver the way we expected it to. But like any new destination, there's still room for improvement.